Ohio Ecological Food and Farm Association (OEFFA) Take Action to Stop Oxford Coal From Mining the Dreams of the Next Generation of Farmers in Perry County! Take Action to Stop Oxford Coal From Mining the Dreams of the Next Generation of Farmers in Perry County! Lauren Ketcham and Zack Schultheis work hard for a bright future in farming at Down the Road Farm. Their property borders the Perry State Forest, now being upended by a proposed coal mine. Henry Jochem started Primaterra Farm in New Lexington in 2015. Drone footage from ABC 6 illustrates the clear-cutting of the 60 year-old trees in the Perry State Forest. 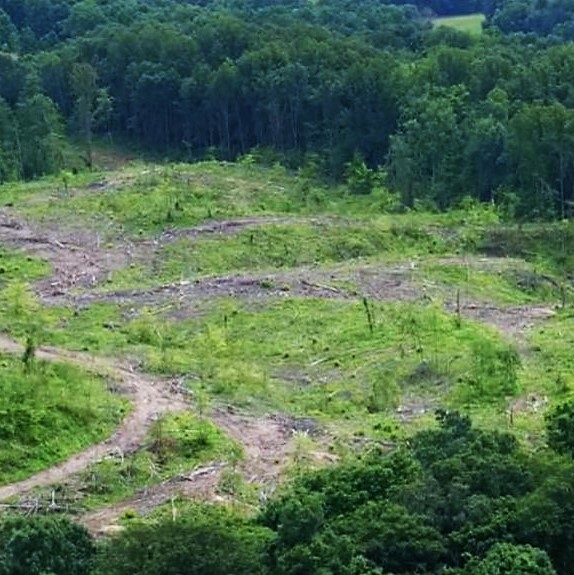 Clear-cutting began in 2018, despite the fact that Oxford’s permits had not yet been approved. Down the Road Farm sells flowers at the Canal Market District in Newark. 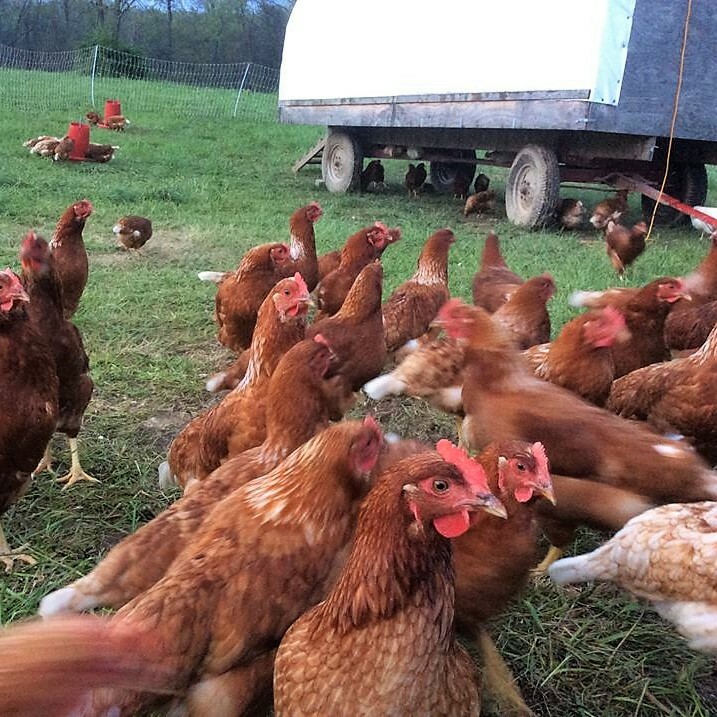 Poultry spend all day on pasture at Primaterra Farm. Scroll to the bottom of this page to send an email to your decision-makers and ask them to reject this project! A proposed plan to extract coal from the Perry State Forest threatens to mine the future of two Perry County farms, Down the Road Farm and Primaterra Farm. It also exposes problems in Ohio's coal mine permitting process and system for funding the remediation of mined land. Lauren Ketcham and Zack Schultheis of Down the Road Farm moved to Perry County in 2011. They bought the land in part because it is surrounded by the Perry State Forest. When they first walked the property, they immediately saw its tremendous potential, with its trees and private farm field in what they thought was a protected paradise. 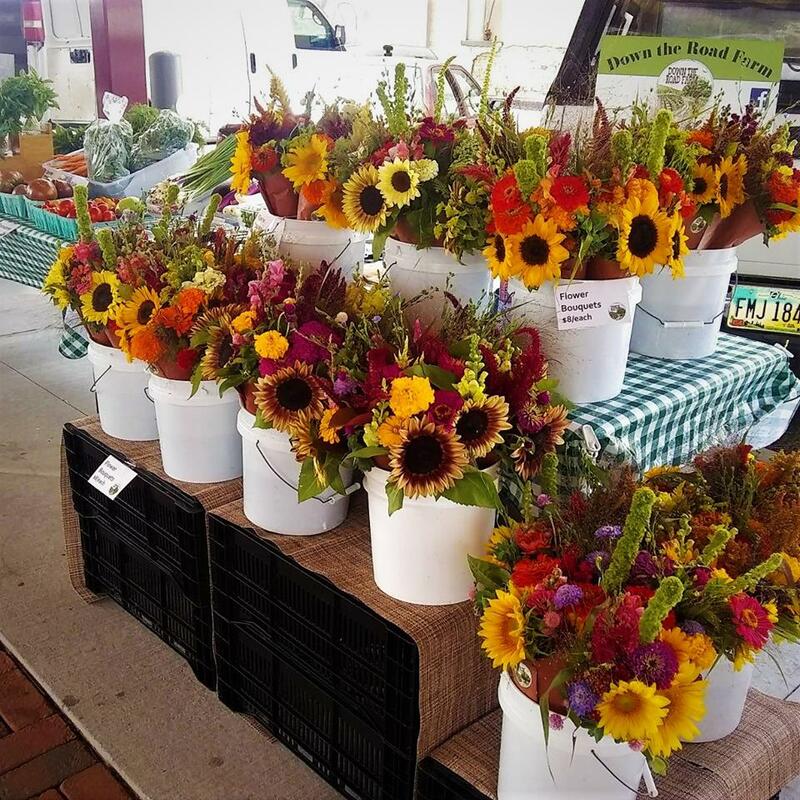 They grow a wide variety of flowers and specialty produce, ranging from strawberries and tomatoes to ground cherries and cucamelons, which they sell at markets in Fairfield, Licking, and Perry counties. 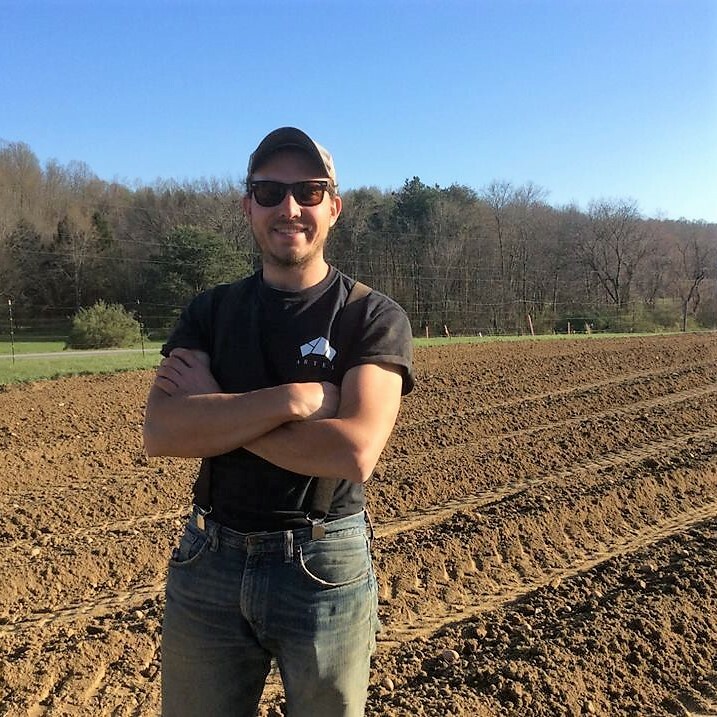 Henry Jochem of Primaterra Farm in New Lexington, started his farm in 2015, and supplies eggs, chicken, and produce to markets in Franklin, Athens, and Perry counties. The Ohio Department of Natural Resources (ODNR) is reviewing a permit application from Oxford Mining Company, a subsidiary of the Westmoreland Coal Company, which filed for Chapter 11 bankruptcy in October. If approved, the permit would allow the company to strip mine nearly 550 acres of the Perry State Forest and private land. ODNR will be holding a second public meeting on Tuesday, February 26 at 6 p.m. in New Lexington. The Ohio Environmental Protection Agency (OEPA) has already issued the project's water permit. On January 22, Friends of Perry State Forest and The Ohio Environmental Council filed an appeal with the Environmental Review Appeals Commission, challenging the agency's permit. When clearcutting of the forest began, the local community demanded a meeting to learn more and talked to ABC 6 about their concerns. At the meeting, ODNR officials explained that local residents would hear and feel explosions up to 1 mile away and that the company could mine within hundreds of feet of homes and directly up to property lines. That offers little protection to area landowners and threatens the future of these local farms. “I am not doing this to get rich. If I can’t enjoy it, I'll look for another farm,” Henry said. 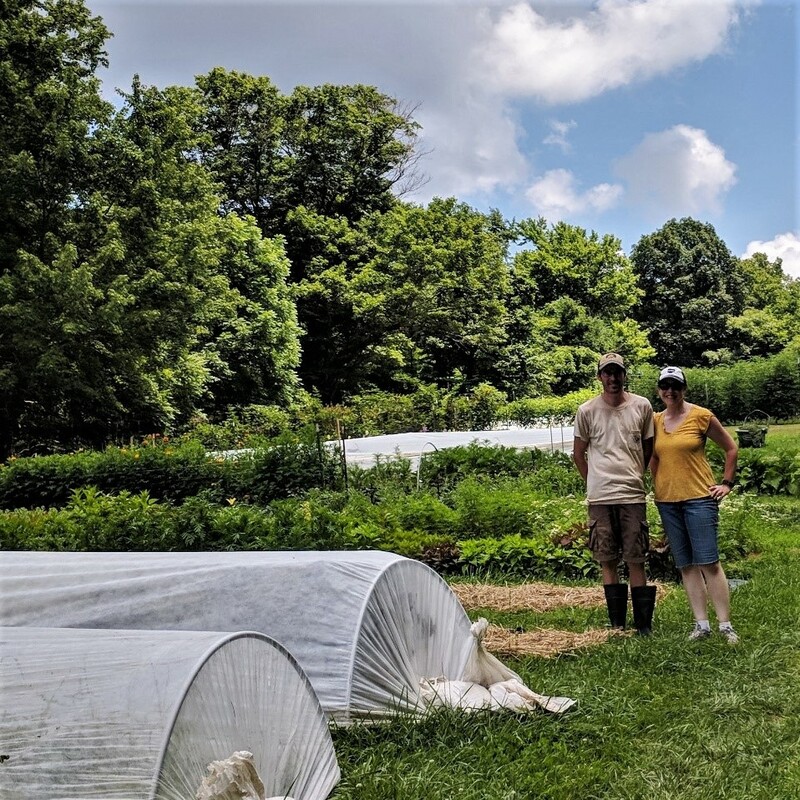 Local landowners, farmers, and everyone who uses the Perry State Forest will be affected, if this permit is approved, in addition to the customers and larger foodshed that Primaterra Farm and Down the Road Farm serve throughout central and southeast Ohio. It also affects every Ohio taxpayer, as they may be the ones left holding the bill if Westmoreland Coal fails to remediate the land. While the company is required to pay a bond of $2,500 per acre in advance for reclamation, state reclamation efforts between 2000-2016 averaged more than $7,000 per acre according to recent reporting. In July, the Sierra Club and the Ohio Environmental Council issued a complaint against ODNR because Ohio’s Reclamation Forfeiture Fund (the pool of money that holds these bond payments, which covers the costs of reclamation should a company forfeit its permits) is severely underfunded and Westmoreland's existing permits could cost the state up to $150 million in reclamation liabilities. The fund has only $22.2 million available. “This leaves little reassurance to the people of Perry County that Westmoreland Coal will follow through on their promises of remediation,” said Henry. Help protect these budding entrepreneurs and hold this company accountable! The ODNR permit has not yet been approved, so there's still time to stop this! Please take action today! Complete the form below and an email will be sent to ODNR, State Senator Jay Hottinger, State Representative Larry Householder, and Governor Mike DeWine. Tell them you do not want the ODNR permit approved! Personal messages are best. If you have time, please add your own thoughts and concerns to the message before sending. Thank you!